The state of West Virginia has a Supreme Court. That court normally has five justices, all of them elected to 12-year terms. And then a federal investigation found that some of the justices misspent taxpayer funds to renovate their offices, along with other misconduct. Now West Virginia's House of Delegates has voted to impeach all of the state Supreme Court justices. The state Senate now holds a trial. Joining us now with a closer look is reporter Dave Mistich of West Virginia Public Broadcasting. He's in our studios. DAVE MISTICH, BYLINE: Good morning, Steve. INSKEEP: What did the justices do? What was this renovation like? MISTICH: ...Very elaborate floor inlays, expensive desks - all across the board. One of the justices had built a shower in her offices. INSKEEP: ...Underneath the judicial robes, I suppose. INSKEEP: Did any of them offer explanations? Did they try to justify this in any way? MISTICH: Well, a lot of them did. They said that they needed a place to be comfortable; they spent a lot of hours in those offices - so a lot of explanations as to that. As far as the dollar amounts, you know, they varied as far as from justice to justice. One was as low as 100,000, another as much as half a million dollars. INSKEEP: ...Even though, as I understand it, not all of them were directly accused of this kind of abuse. MISTICH: Right. So during the impeachment process, some of these articles of impeachment were withdrawn as far as the court's spending. They were all impeached for a lack of administrative oversight of the courts as well as their roles in the overpayment of senior-status judges. So they're all implicated in something, one way or another, all the way down the line. INSKEEP: ...Is so ideological, so partisan, so intense right now. Is it the same way in West Virginia with the Supreme Court? MISTICH: Well, you know, there's been a lot of questions over that. The Republicans hold a majority in both houses of the legislature. The governor's a Republican. There's also been this question as far as separation of powers. 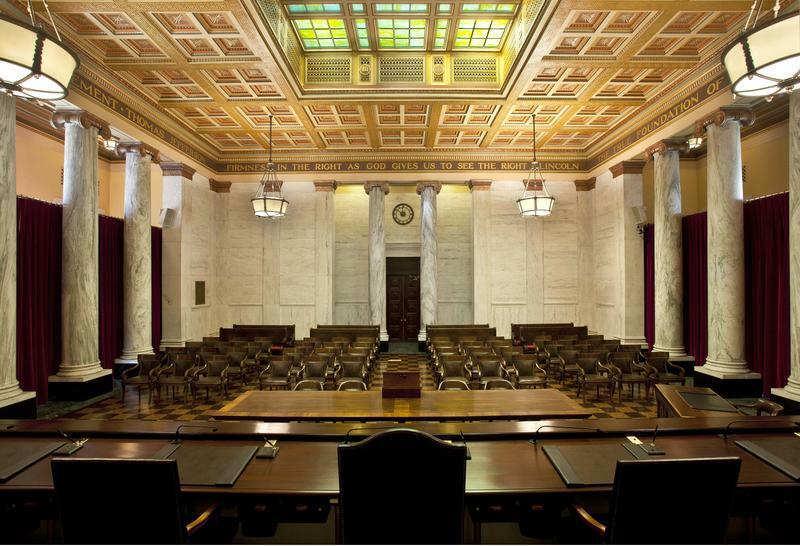 In West Virginia, the judicial branch, as of right now, has control of its own budget. 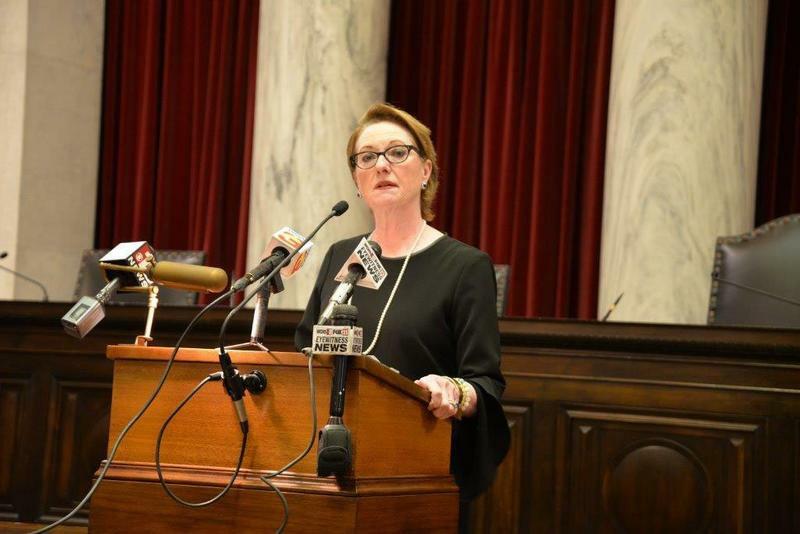 The legislature offered a resolution, which was passed, which will now go to a constitutional ballot - excuse me - that will sit - that will - if voters in West Virginia decide, the legislature will take back control of the judicial branch's budget. INSKEEP: OK. So as I understand it, two of the five justices didn't wait for this impeachment during this upcoming trial. They've resigned. INSKEEP: One of them was Robin Davis. Was she the one with the shower in the office? INSKEEP: OK. Good to know. She spoke about her decision as she was stepping down as she's at the state Capitol on Tuesday. Let's listen. ROBIN DAVIS: The will of the people of West Virginia is being denied. I just cannot allow the finalizing of this plot to come to fruition. INSKEEP: Is there any evidence to support that allegation that this is a plot to take over the Supreme Court rather than clean it up? MISTICH: Well, you know, that's what all the Democrats are saying, both in the House as well as on the court. I've been requesting emails from some of the major players, the majority party, in all this. I've got that public records requests back. But they cited some exemptions, sort of left out a bunch of emails that I'd asked for relating to the Supreme Court impeachments. But with all that being said, until I've seen all of what they've been talking about, it's really difficult to tell. INSKEEP: And just very briefly - if these justices are all removed, how are they replaced? There's an election? MISTICH: Right. Well, there's a vacancy deadline which hit at midnight last night. 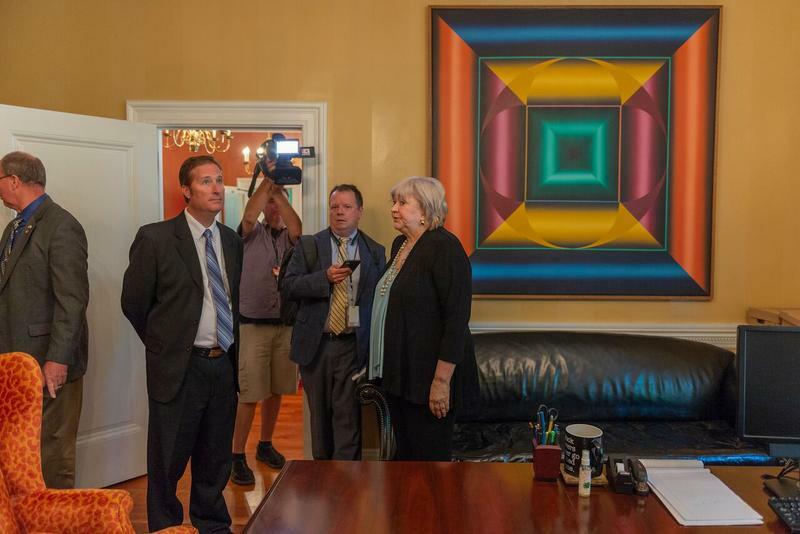 MISTICH: And so the justices that have already resigned - that's Robin Jean Davis and Menis Ketchum, who resigned late last month - their the remainder of their seats, those terms will be filled by special election. And now, if there are vacancies - if this goes to trial in the Senate, people are convicted, any of those vacancies will be appointed by Governor Jim Justice, who is a Republican. INSKEEP: Oh, the governor gets the benefit. OK.
INSKEEP: Dave Mistich of West Virginia Public Broadcasting. Transcript provided by NPR, Copyright NPR.